Do you need to redesign web page or maybe have a complete web site redesigned? Look no further, eNicola.com can help! 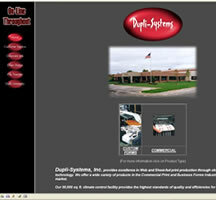 A brand new web site redesign and layout for your website. A quick website 'tidy up' to make pages visually pleasing. A change to website text and photo layout on pages. Code, density and keyword optimization to pages. GET YOUR WEB SITE REDESIGN QUOTE TODAY! 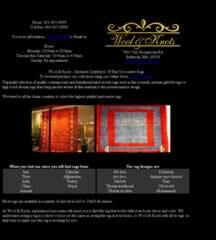 This is a website I created for a Rug Store in Bethesda, Maryland. The website consists of a Flash animated introduction and a vibrant colorful website with special image gallery features of thumbnails that show enlarged picture on mouse over. The site also features an online contact form. I currently manage, host and maintain the site for this client. 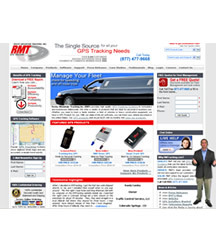 This is an ecommerce website I developed for Rocky Mountain Tracking Inc. They are based in Colorado and provide GPS Tracking Systems Nationwide. The website was developed with an animated featured gps tracking device on the homepage and a flash animation of a gps tracking on a map. 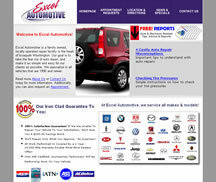 This website feature 75+ pages and has a full shopping cart system with many products listed. The shopping cart system was set up so the customer could manage via an online web admin area and the cart connects to authorize.net. I designed all pages and layouts. (This site is in development, the site has not been posted live to the web yet). 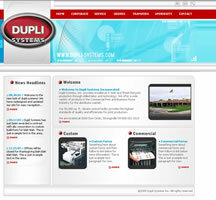 This is a new website redesign for Dupli Systems Inc. Headquartered in Strongsville OH, they provide excellence in Web and Sheet-fed print production through skilled labor and technology offering a wide variety of products in the Commercial Print and Business Forms Industry for the distributor market. I designed a new website for this company, they wanted a high tech web designed with small fast loading elements of animated flash on a top banner similar to my own website. The animation effect created was of little printing effects and highlight movements. 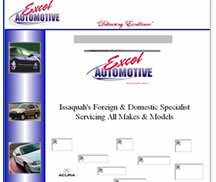 Excel Automotive is a family owned, locally operated repair facility in the heart of Issaquah, Washington. I designed and developed a new website for them and maintain site updates as requested. My professional web site redesign services are not only intended to be visually pleasing but also includes full meta tags, robot commands and search engine submission and browser compatibility services. A new web site redesign to convey the appropriate image to your customers. A redesign web page layout that is pleasing to the eye and easy to navigate. A website re-design that is viewable and compatible with different web browsers that your visitors may use. 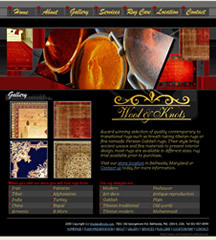 A web site redesign that has been submitted to the search engines for indexing. A redesign web page(s) that is coded so that the search engines can easily understand your market and crawl your website code.